Seaside Belle: What's your Christmas Tree Theme? Decorating the Christmas Tree is one of the first traditions of the festive season as we prepare for the big day. Recently, I discovered that instead of the chuck the decorations on and hope it balances out approach our family tends to take, many choose a theme or colour scheme. 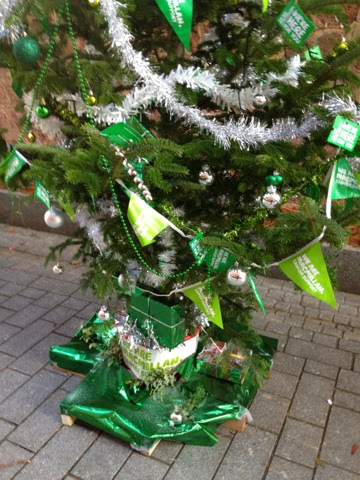 Well, that's if you believe the articles in home magazines where apparently your tree should match your decor. I'd been quite cynical about this approach until I visited Roman Walk in Exeter's Princesshay. 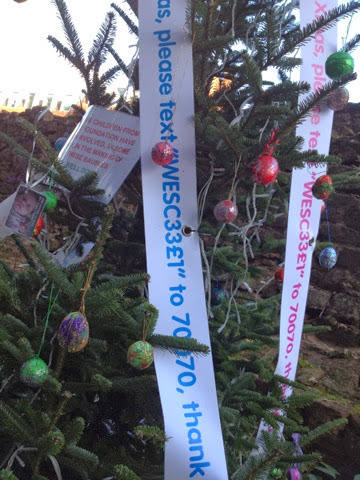 This year, Exeter has launched its first Christmas Tree Festival, which aims to raise awareness and funds for local charities. 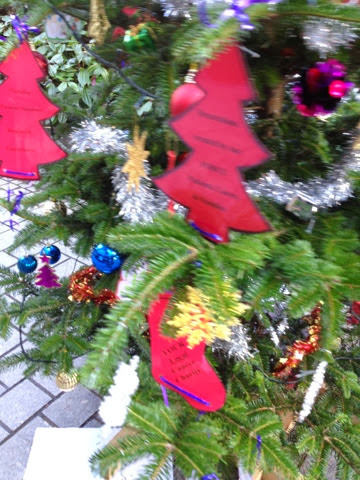 Each tree has a different look to represent the charity that has decorated it. 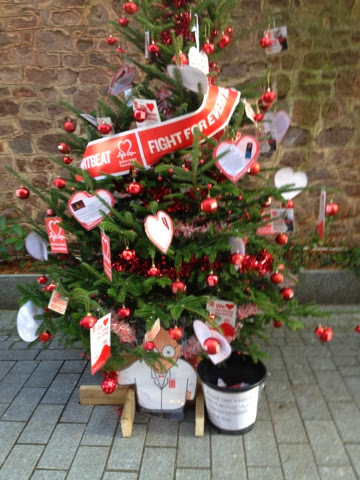 Participating charities include the WESC Foundation, St Loye's Foundation, Dream-A-Way, Hospiscare, Force, Mind, British Heart Foundation, Action For Children, Exeter Royal Academy for Deaf Education and Devon Air Ambulance. 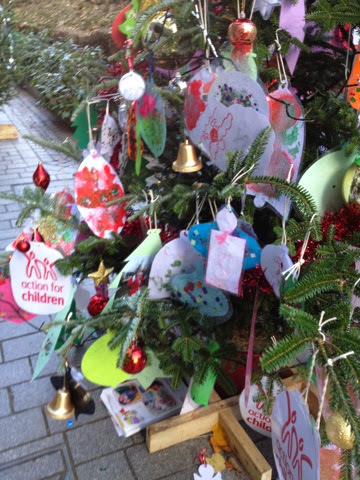 The trees are amazing with individual interpretations of each charity's work. Many use the colours of the decorations to reflect their organisation's branding. Which got me thinking: should I rethink my family's slapdash approach to tree decorating and do something that makes a statement about who we are? And then I realised: our tree is who we are. The bottom heavy adornments reflect the height of the children. The decorations we use are not colour themed and bought specifically for this year, but are dragged down from the attic, bringing memories of past Christmases. The home-made decorations are a true representation of what each member of the family contributes to our life and remind us of the valuable part they play in our lives. So, while a stage-managed Christmas Tree might look good on the pages of a magazine, my own, messy, thrown together, slightly shabby theme is one that shows a loving, devoted family that muddles through life together. too right. We definitely go with the gradually-grown-together look. We also try to buy a new "nice" decoration each year (and write the date on the bottom in permanent marker) so that we'll be able to remember the occasion when we bought each decoration. So we have one that we bought in New York when I was pregnant with C, one which we bought at the "Country Living Christmas Fair" at the SECC while carrying a grizzly baby in the sling where there was nowhere to sit down... and many more to come! That's a good idea. One of my favourite decorations is one that was made by E at nursery with a photo of him on an old CD.